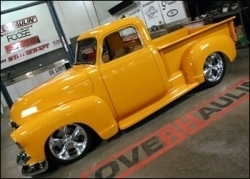 When will be Overhaulin' next episode air date? Is Overhaulin' renewed or cancelled? Where to countdown Overhaulin' air dates? Is Overhaulin' worth watching? Actress Amber Heard's 1967 Ford Mustang is revitalized thanks to help from her father, fiance Johnny Depp, and metal magician Chip Foose. Chip and his A-Team use their skills to keep a locksmith's beloved 1982 Chevrolet El Camino from going directly to the chop shop. 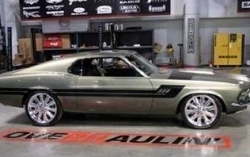 Chip Foose and his A-Team build a 1967 Ford Mustang for former Navy SEAL and American hero Marcus Luttrell. Master fabricator Chip and his A-Team help out a man whose prized 1978 Pontiac Trans Am has fallen upon hard times. 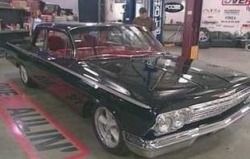 Overhaulin' next episode air date provides TVMaze for you. EpisoDate.com is your TV show guide to Countdown Overhaulin' Episode Air Dates and to stay in touch with Overhaulin' next episode Air Date and your others favorite TV Shows. Add the shows you like to a "Watchlist" and let the site take it from there.